THE SONGS OF MY PEOPLE - "Songs Of My People" is my cultural musical project, aimed at preserving Jewish cultural heritage. I have gathered songs in Russian and Yiddish, a language put on the Red List of Threatened Languages by UNESCO.
" In Judaism, the Torah was set to music as a way to remember it before it was written down. " Music has always played a central role in Judaism. It describes aspects of Jewish culture, emotion, and diversity that cannot be put into words. 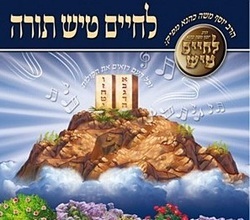 The uniqueness of Jewish music stems from the combination of both modern and rather traditional influences. Therefore, it is exciting, contemporary and spirited, and yet it retains a deep religious core. Around the nineteenth century, Jewish composers began aiming for a unique, nationalistic sound. Many of these composers originated from small Jewish Villages in Russia and North Eastern Europe, and transcribed many of the deeply-rooted Yiddish folksongs. Next, they wrote the tunes for ensembles, and occasionally lyrics. This type of style became known as “Klezmer”. The professional musicians who play Klezmer music are called klezmorim. This style was made popular at many community-based events, ranging from funerals to weddings. "Songs Of My People" is my cultural musical project, aimed at preserving Jewish cultural heritage. I have gathered songs in Russian and Yiddish, a language which was put on the Red List of Threatened Languages by the UNESCO. Before World War II, the number of native Yiddish speakers amounted to 11 million people. During the Holocaust, over 6 million Jews were killed, and the number of Yiddish speakers was halved. The language is still prevalent in modern literature, speech, and songs. Music has an ability to reflect and portray various events, religion, work, folklore, life, death, family etc. in a way that no other art form can. Each song of my people tells a story and opens a window onto our traditions, beliefs, sufferings, hopes and dreams. Website created and written by Josephine Yalovitser.